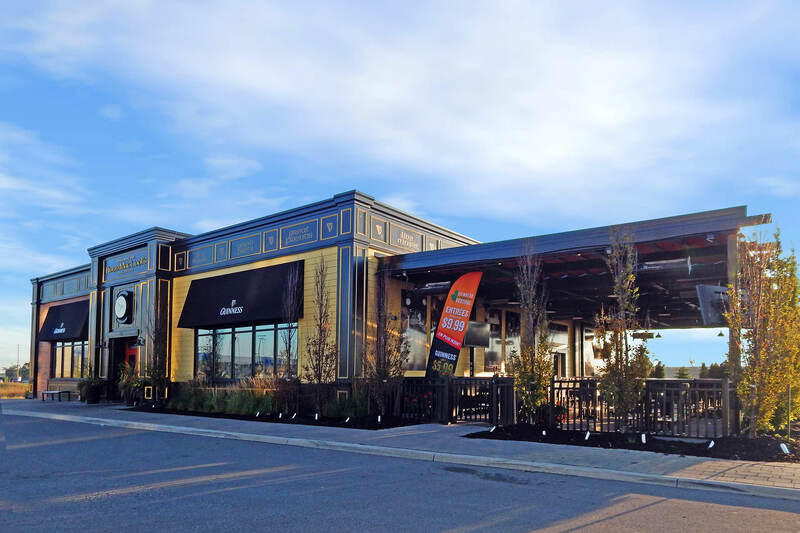 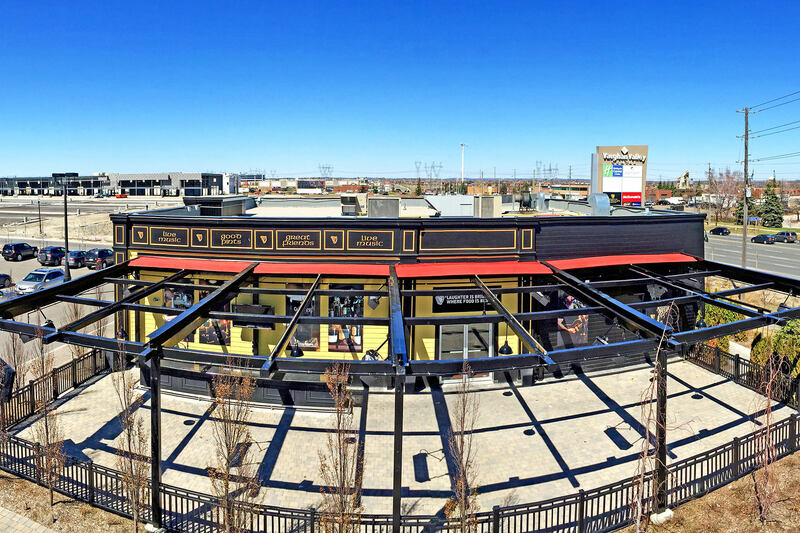 Fionn MacCools’ Irish Pub is known throughout the bustling Vaughan restaurant scene for its traditional Irish fare, craft beer selection and local live music. 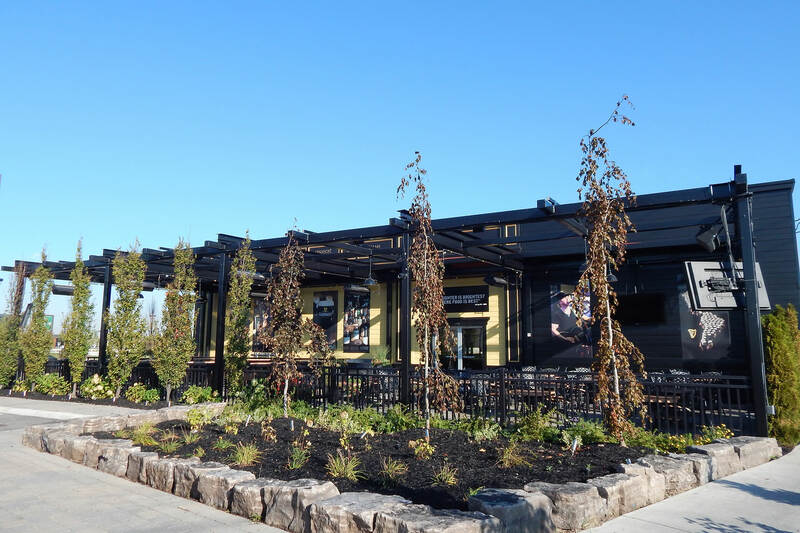 When the busy establishment was looking to expand its 222 person restaurant capacity to accommodate large evening and weekend crowds, they turned to ShadeFX for a new solution. 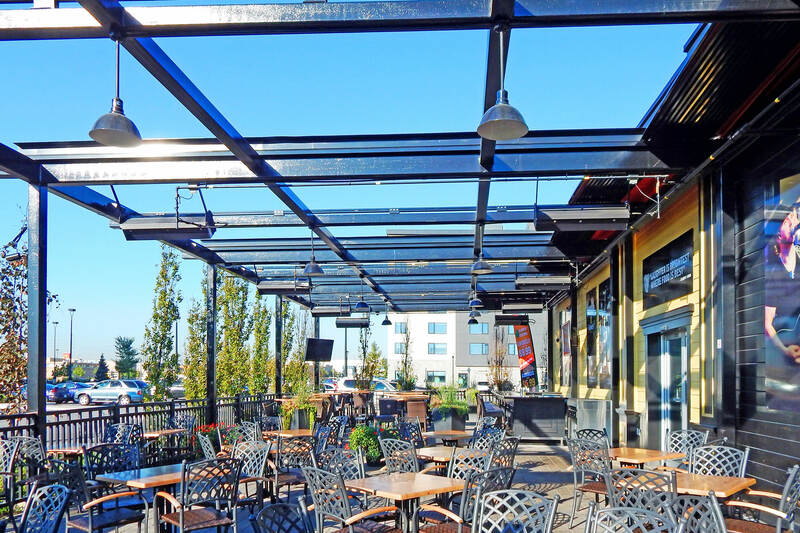 Together with ShadeFX, Fionn MacCool’s created an outdoor solution that increases the restaurant’s capacity by more than 100 seats for three quarters of the year. 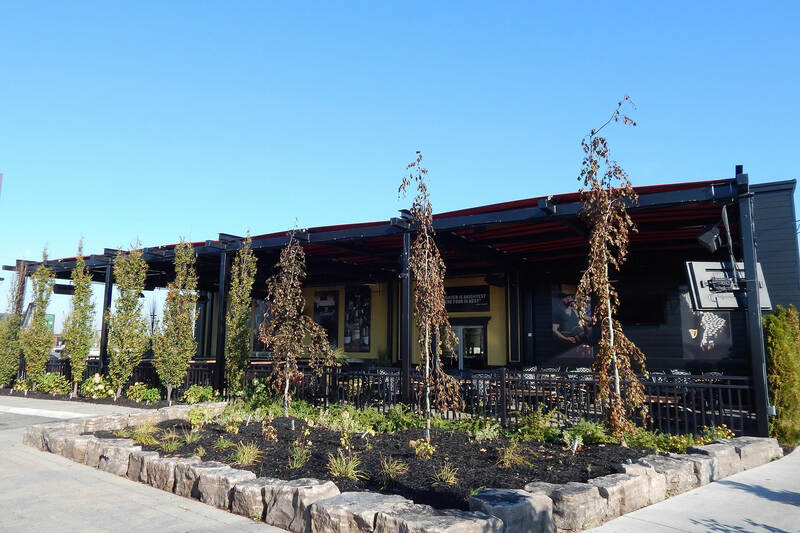 ShadeFX was commissioned to develop a solution that included rain management, keeping the space functional and well protected late into the fall season. 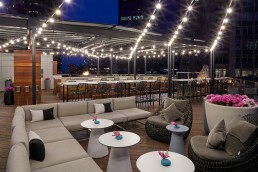 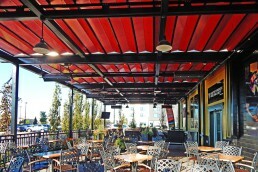 Fionn MacCools’ newly designed space includes four ShadeFX canopies, complete with a gutter system. These custom solutions were crafted in an all-black design to seamlessly blend in with the space’s existing look. 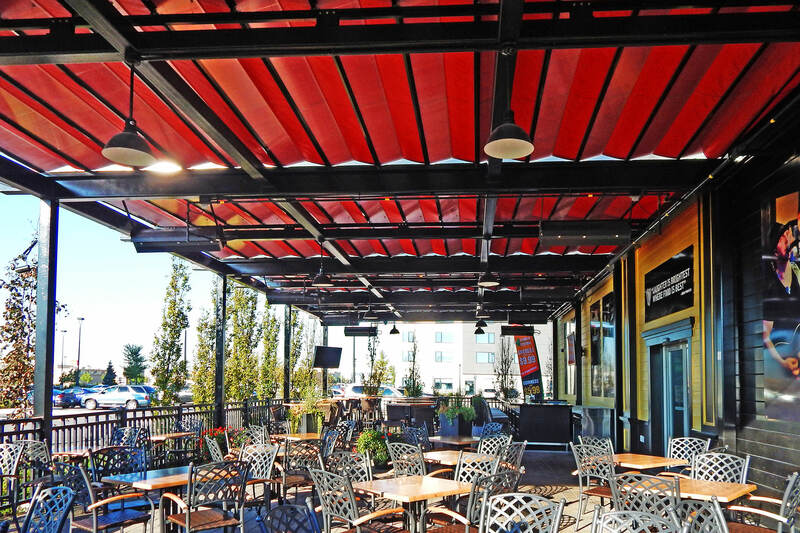 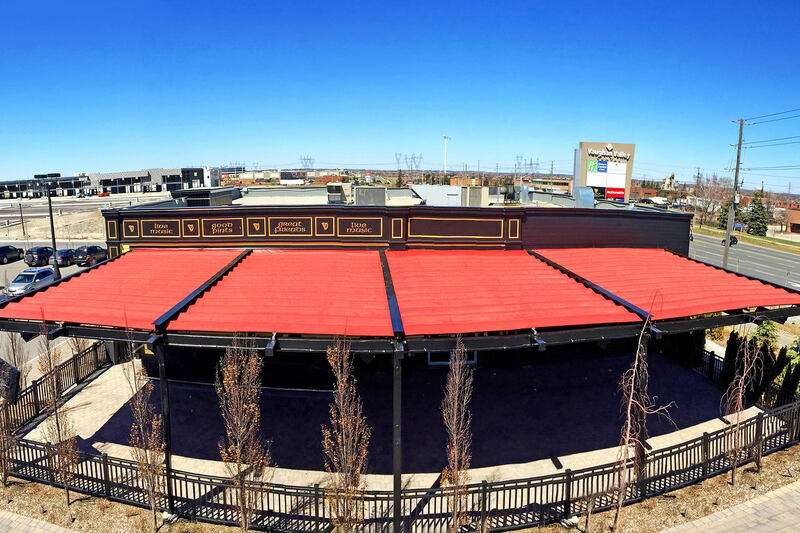 Using fire retardant and waterproof fabrics, the ShadeFX solution made Fionn’s outdoor space completely functional, even during inclement weather. 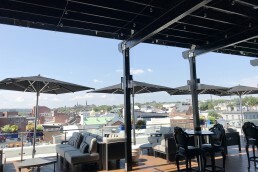 The new space is able to accommodate 24 new tables, while providing full coverage for the outdoor bar, televisions, furniture and lighting. Fionn MacCools’ now has a new al fresco dining option to accommodate even more guests and to provide patrons with a second unique, yet equally inviting, dining area all within their establishment. 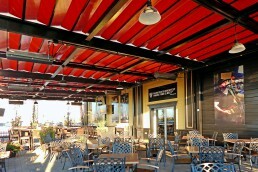 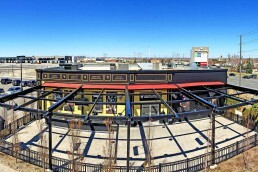 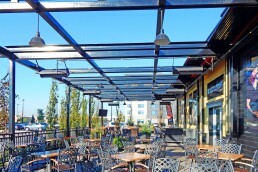 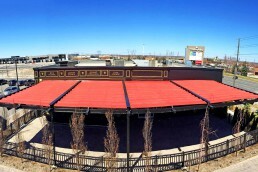 Fionn MacCools’ newly designed space includes four ShadeFX canopies, complete with gutter system. 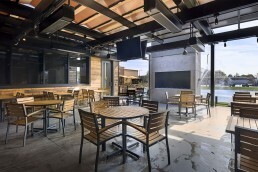 These custom solutions were crafted in an all-black design to seamlessly blend in with the space’s existing look.